Die Frauen kommen unter anderem aus Finnland, China, Frankreich, Russland und den USA. Was sie über alle Grenzen hinweg miteinander verbindet, ist der gemeinsame Geburtstag am 18. September 1967. Die Dokumentation zeigt ein sehenswertes Mosaik globaler weiblicher Biografien. How would it have been, being born on the same day in the same year in another country? Beate Kunath traces the experiences of women from the twin cities of her birth place of Chemnitz in nine personal portraits. The women come among others from Finland, China, France, Russia and the US. What connects them is the common birthday on September 18th, 1967. 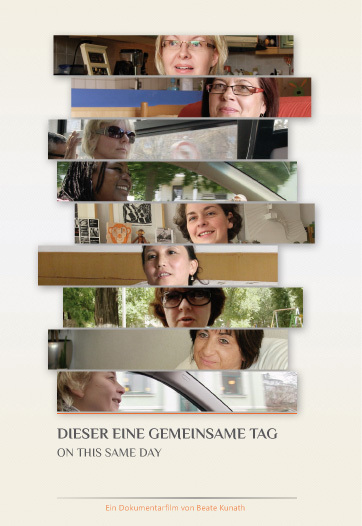 The documentary shows a noteworthy mosaic of global female biographies.